Sweet Annie is known in traditional medicine for its anti-malarial and antipyretic (prevent or reduce fever) properties. It's used as a support therapy in treating malaria. 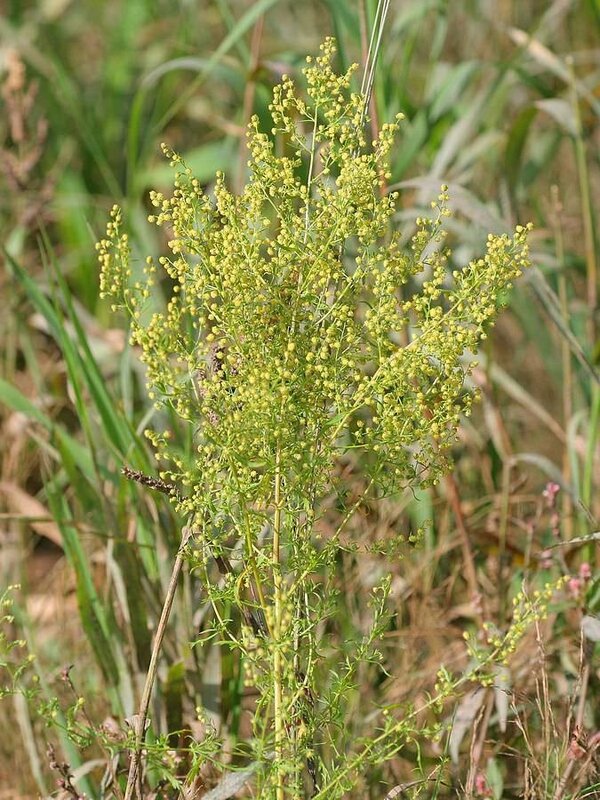 The aerial parts are harvested at the start of the flowering period to make a medicinal extract. Sweet Annie has a long use in traditional Chinese medicine to treat fever. 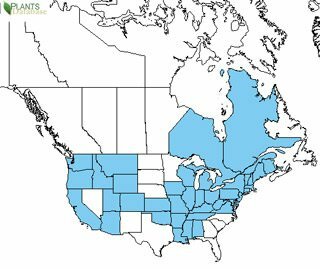 Also know as Chinese Wormwood, it's native to temperate Asia but has been naturalized in many countries, including across North America. This herb is also grown and harvested for it's artemisinin content that is concentrated in the upper part of the plant. 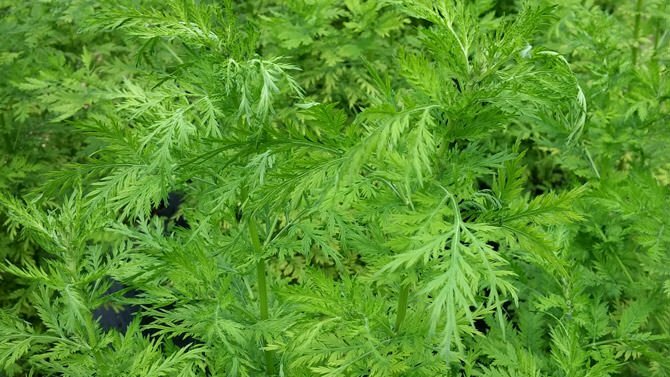 Artemisia annua is one of four medicinal plants with the highest Oxygen radical absorbance capacity (ORAC) and high antioxidant activity. Habitats include woodland borders, low-lying areas along rivers and ponds, fields, vacant lots, edges of yards, fence rows, gardens, back alleys in older cities, and areas along railroads and roadsides. The above ground aerial parts (leaves, stems, flowers) are used to make medicine. The most common use if for treating malaria. 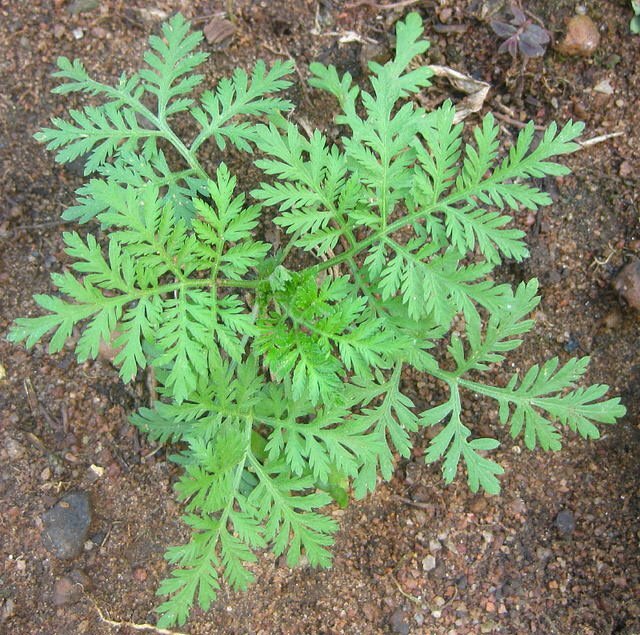 In laboratory, the naturally containing artemisinin can be transformed into an even more effective treatment for malaria and is sold as a prescription drug in Asia, Africa and Europe. Artemisinin is effective against the parasites that cause malaria. Sweet Annie shouldn't be used alone to treat malaria, as it only causes the parasites to become inactive, and doesn't kill them. It might make the parasites resistant to further treatment with more powerful malaria drugs that use artemisinin. Sweet Annie is also used for treating bacterial infections dysentery, tuberculosis, illnesses caused by worms, other parasites, mites, fungal infections, and viral infections such as the common cold. Other uses include upset stomach, fever, yellowed skin (jaundice), psoriasis, systemic lupus erythematosus (SLE) and other autoimmune disorders, loss of appetite, blood vessel disorders, constipation, gallbladder disorders, stomach pain, painful menstruation, and joint pain (rheumatism). Sometimes applied on the skin to treat bacterial and fungal infections, arthritis and other joint pain, bruises, nerve pain, and sprains. It also helps people with AIDS prevent a fatal lung infection caused by a fungus called pneumocystis pneumonia (PCP). Taken as a tea it might cause upset stomach, vomiting or an allergic reaction like a rash or cough. Pregnant women should be cautious to take, as it may cause death of the fetus or birth defects when used early in pregnancy. It might be safe for the last 6 months of pregnancy, as the WHO allows drugs made from artemisinin to be used for women in their last six months of pregnancy if no other malaria treatment is available. This sensitive or allergic to the Asteraceae/Compositae family like ragweed, chrysanthemums, marigolds, daisies, and many others can have similar issues with Sweet Annie.